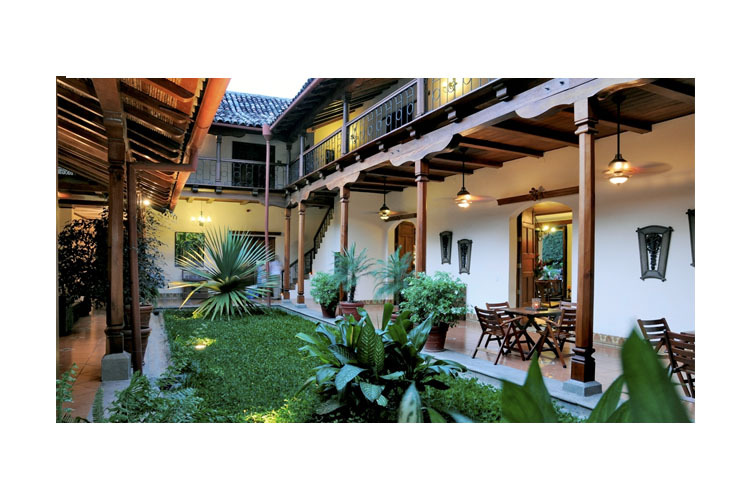 Enjoying an enviable location in the centre of Granada, Hotel Plaza Colon is set in a traditional colonial style building overlooking the city's main square, the Parque Central. 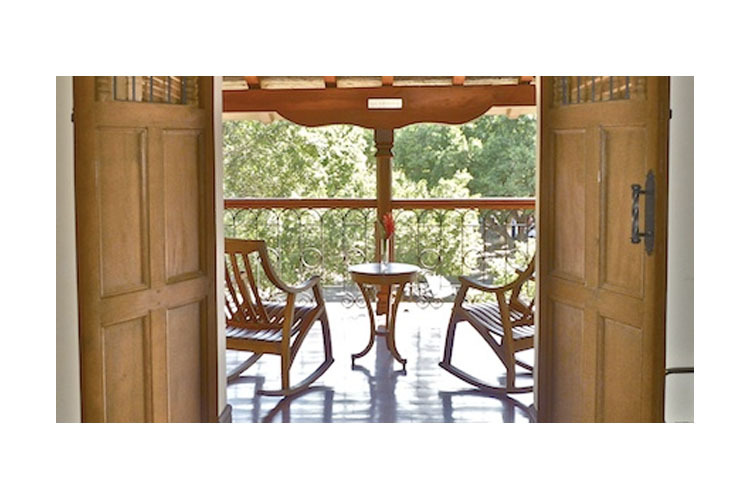 This charming property offers luxurious bed and breakfast accommodation in a friendly, welcoming atmosphere. Perfectly situated for both business and pleasure in this beautiful historic city, Hotel Plaza Colon is just footsteps from the cathedral, the church of La Merced, the Museum and Convent of San Francisco, the ChocoMuseum and La Calzada, the city's buzzing centre for bars, restaurants, entertainment and night-life, among many other landmarks and attractions. Horse-drawn carriage tours are available opposite the hotel. A delicious breakfast is served every morning at Hotel Plaza Colon, based on the finest fresh, locally sourced ingredient, and accompanied by the best Nicaraguan coffee and freshly squeezed fruit juices. The hotel is also home to El Bar, where guests can enjoy the national cocktail, "El Macua", and a fine range of tapas while watching the world go by from the terrace. 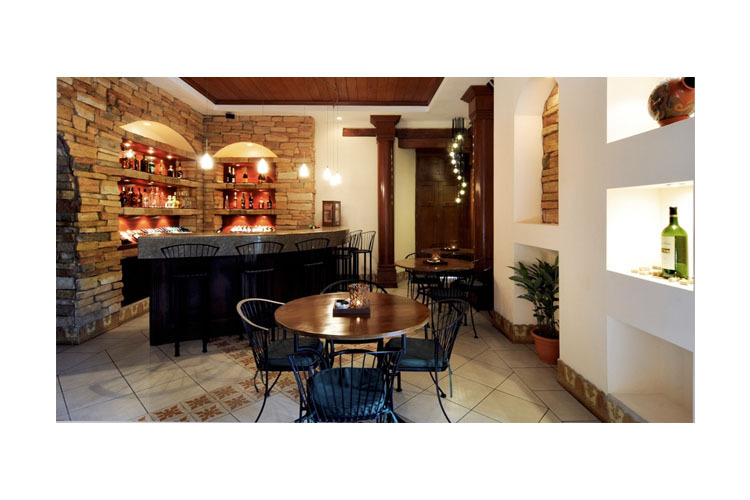 The Café las Flores serves gourmet coffee, pastries, salads and sandwiches throughout the day. 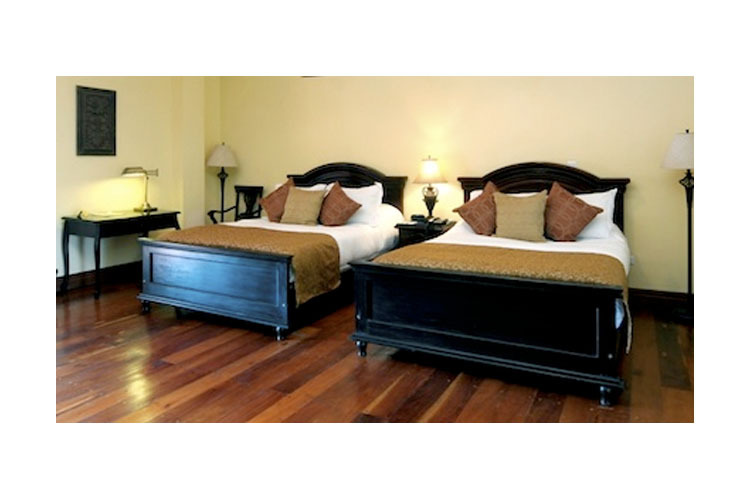 Rooms with one king or queen-size bed, located to the inside of the Hotel. These rooms can accommodate two guests. 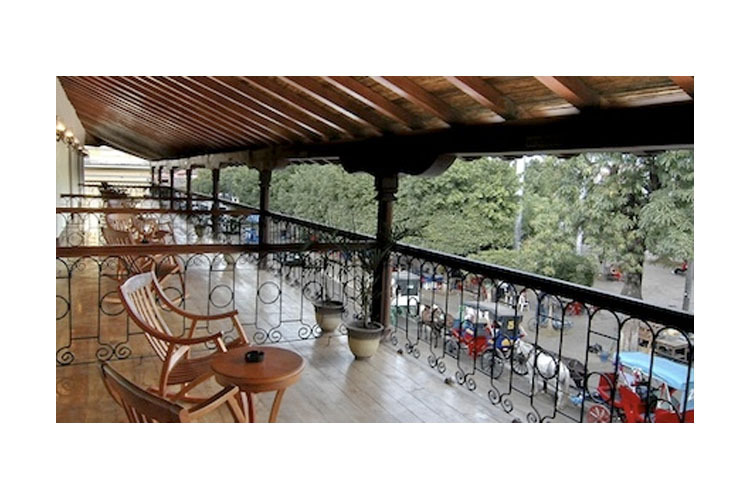 Room size approximately 26 sq m.
Rooms with two queen beds, located to the inside of the Hotel. 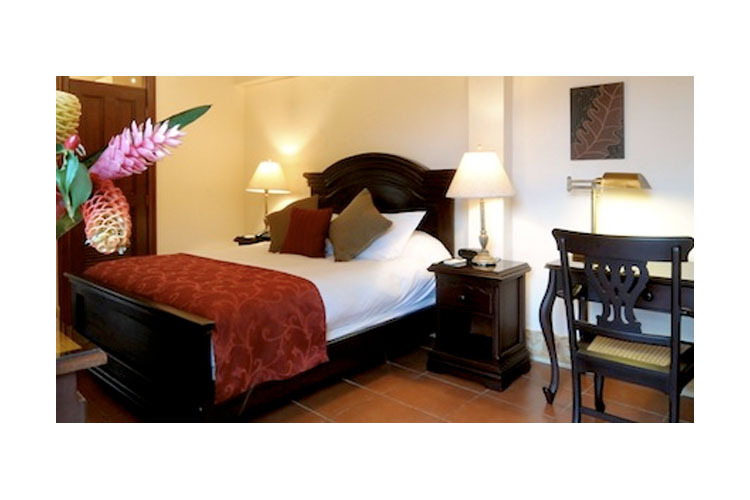 These rooms can accommodate two guests, extra beds available on request. 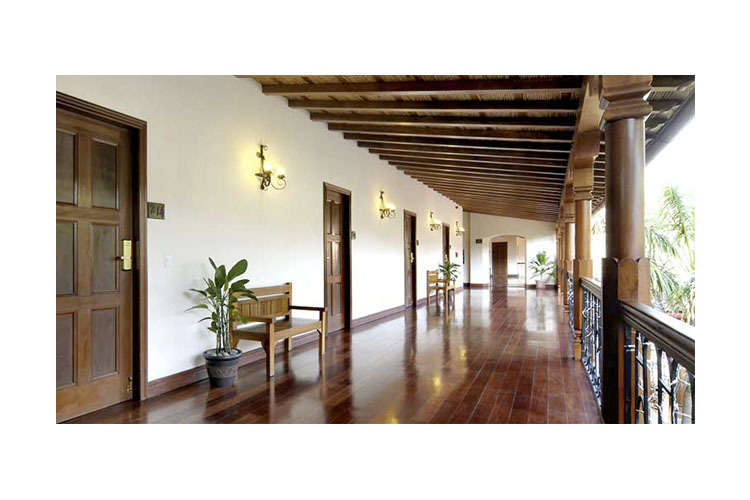 Room size approximately 30 sq m.
Rooms with one king or queen-size bed with a Balcony overlooking Plaza Colon. These rooms can accommodate two guests. 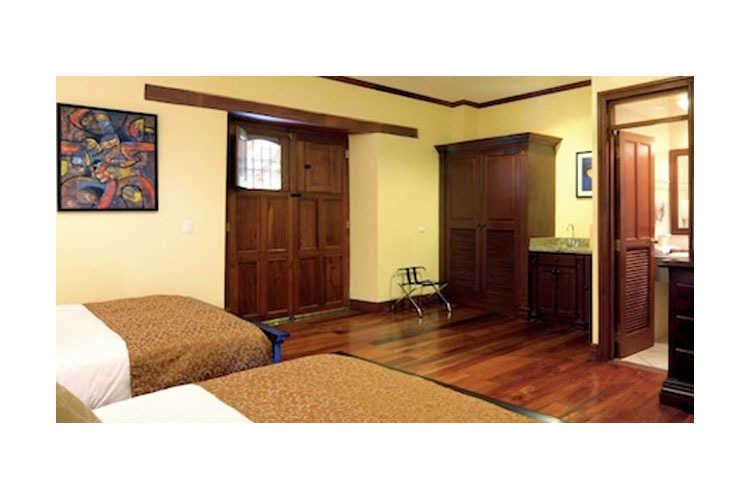 These rooms come with two queen beds and feature a balcony overlooking Plaza Colon. These rooms can accommodate two guests, extra beds available on request. The suites consist of two bedrooms, each with a bathroom and a queen-size bed. 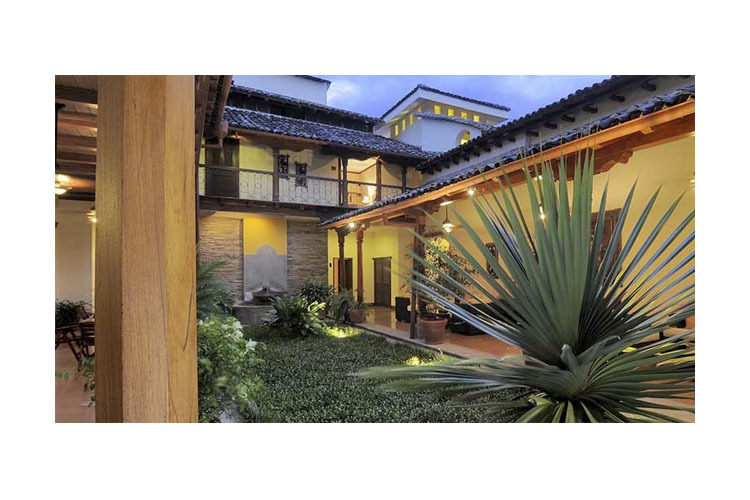 There is also a shared living room and a shared balcony overlooking Plaza Colon. 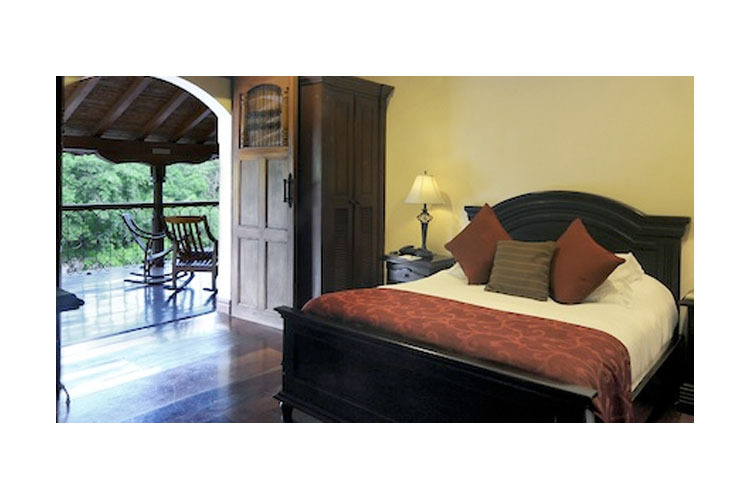 These rooms can accommodate from two to four guests. 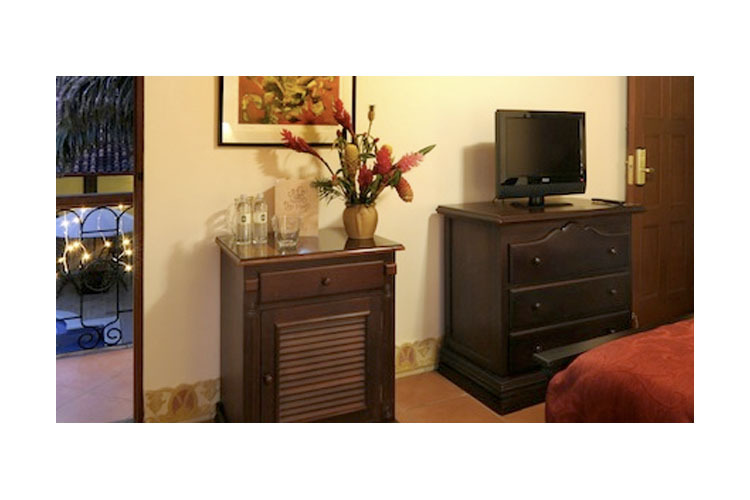 All rooms and suites feature: air-conditioning; free Wi-Fi; hot water; ceiling fan; in-room safe; mini-bar; cable TV; alarm clock; telephone; bath robes; ironing board; hair dryer; closet. Credit cards accepted: American Express, Visa, Euro/Mastercard, Diners Club, JCB, Discover. Nearest airport: Augusto Cesar Sandino International Airport - 47,9 km.